This is, I believe, a first. 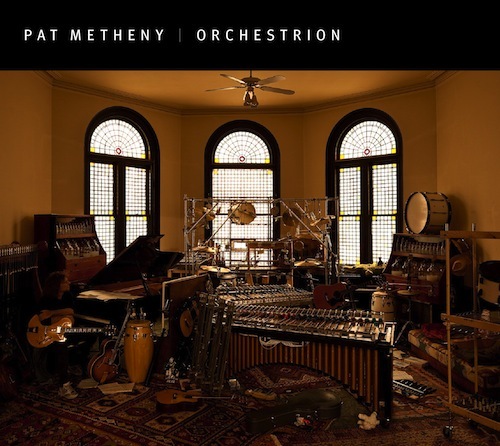 Nestling among the musical paraphernalia on the front cover of Pat Metheny’s new album Orchestrion is an unusual artefact, at once both at home there and also strangely out of place. Can you spot it? All is revealed after the jump.